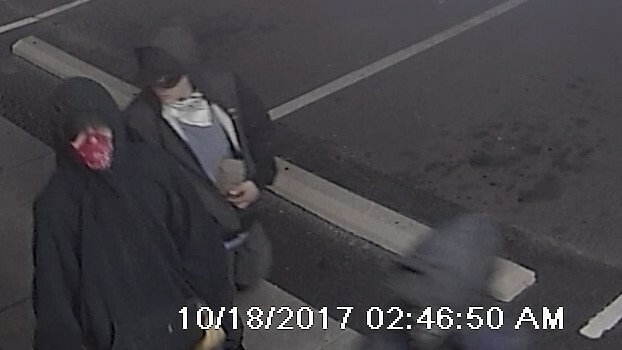 COLORADO SPRINGS, Colo. — The Bureau of Alcohol, Tobacco, Firearms and Explosives and El Paso County Sheriff’s Office are offering up to a $5,000 reward for information leading to the arrest and conviction of suspects who burglarized Big Jim’s Loans III pawn shop, Oct. 18. 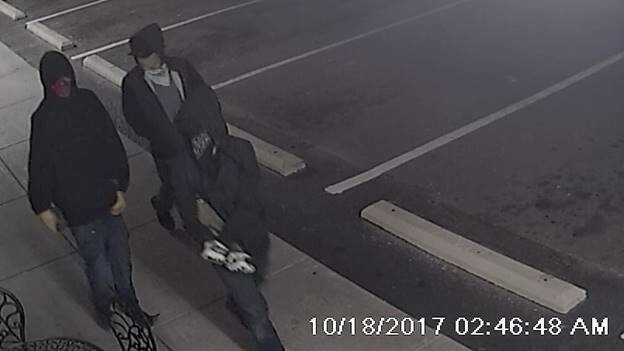 At about 3:45 a.m., multiple suspects stole about 10 long guns from the store at 5825 Galley Road in Colorado Springs. Photos of the suspects are at the end of the release. ATF and the El Paso County Sheriff’s Office are jointly investigating the burglary. Anyone with information should call ATF’s Tip Line at 1-800-ATF-GUNS (283-4867), El Paso County Sheriff’s Office at 719-390-5555 or Pikes Peak Crime Stoppers at (719) 634-STOP (7867) or 1-800-222-8477. Callers to the ATF and Crime Stoppers tip lines can remain anonymous. People can also submit a tip through ATF’s new “reportit” app available at www.reportit.com and at Google Play and the Apple App Store. All tips to the app are confidential and can be anonymous.